Oliver Otis Howard thought he was a man of destiny. Chosen to lead the Freedmen’s Bureau after the Civil War, the Union Army general was entrusted with the era’s most crucial task: helping millions of former slaves claim the rights of citizens. He was energized by the belief that abolition and Reconstruction, the country’s great struggles for liberty and equality, were God’s plan for himself and the nation. To honor his righteous commitment to a new American freedom, Howard University was named for him. But as the nation’s politics curdled in the 1870s, General Howard exiled himself from Washington, D.C., rejoined the army, and was sent across the continent to command forces in the Pacific Northwest. Shattered by Reconstruction’s collapse, he assumed a new mission: forcing Native Americans to become Christian farmers on government reservations. Howard’s plans for redemption in the West ran headlong into the resistance of Chief Joseph, a young Nez Perce leader in northeastern Oregon who refused to leave his ancestral land. Claiming equal rights for Native Americans, Joseph was determined to find his way to the center of American power and convince the government to acknowledge his people’s humanity and capacity for citizenship. Although his words echoed the very ideas about liberty and equality that Howard had championed during Reconstruction, in the summer of 1877 the general and his troops ruthlessly pursued hundreds of Nez Perce families through the stark and unforgiving Northern Rockies. An odyssey and a tragedy, their devastating war transfixed the nation and immortalized Chief Joseph as a hero to generations of Americans. 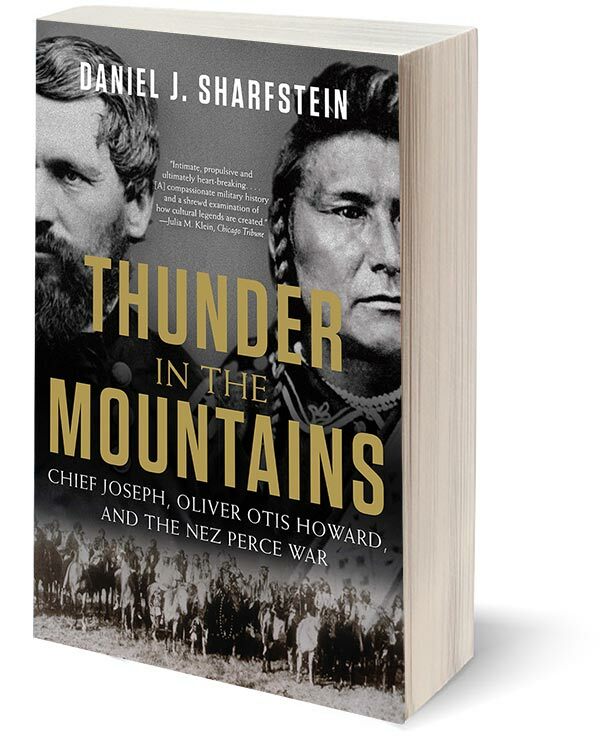 Recreating the Nez Perce War through the voices of its survivors, Daniel J. Sharfstein’s visionary history of the West casts Howard’s turn away from civil rights alongside the nation’s rejection of racial equality and embrace of empire. The conflict becomes a pivotal struggle over who gets to claim the American dream: a battle of ideas about the meaning of freedom and equality, the mechanics of American power, and the limits of what the government can and should do for its people. The war that Howard and Joseph fought is one that Americans continue to fight today.